For questions about shipping, guarantees, refunds, Autoship program, dosage instructions, ingredients, etc., or to contact us please visit Customer Service. To see the latest prices on any of our products click on the "ORDER NOW" button in the top menu of this or any other page. You will be taken to our online store where will see our current prices and you may place your order when you are ready. 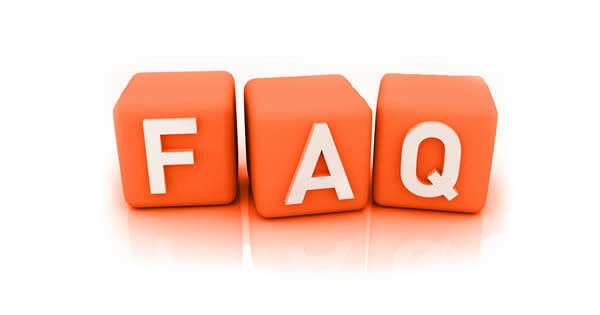 Click here for FAQ about human growth hormone and various HGH therapies in general. When should I expect to see benefits with your products? Many of our clients see some benefits in the first month, however, in order to realize the potential of any hormonal therapy it is recommended the product be taken as directed for 3 months. Expected benefits of homeopathic HGH in first 6 months. What is the difference in your two HGH Products? Please click to learn about the difference in our 2 products. The HGH injections (Somatropin) are synthetic pharmaceutical drugs that are created in a lab so they must be FDA approved. Homeopathic products such as ours, as well as dietary supplements and herbal products are not created pharmaceutical drugs and so they are not given the title of FDA approved. However, the HGH that is used to make our products is the same FDA approved Somatropin. The hormones in our other products are also FDA approved. Legitimate homeopathic products may be FDA registered. If the manufacturer follows the FDA's protocol the product may be awarded its own NDC (national drug code) number. Are your products FDA registered? Yes, the FDA recognizes all our ProBLEN products as over-the-counter homeopathic medicines able to relieve symptoms of underlying health conditions. For this reason the FDA maintains full oversight over our formulations, manufacturing procedures, product claims and labeling. Our products meet or exceed all FDA guidelines and are made while adhering to strict HPUS principles. Each product contains its own NDC number. Are your products safe, are there any side effects? Homeopathic human growth hormone is considered the safest type of HGH therapy without the side effects that may be seen when taking the injections. Click for information about possible homeopathic effects one might experience when beginning our products. All our products are considered safe. 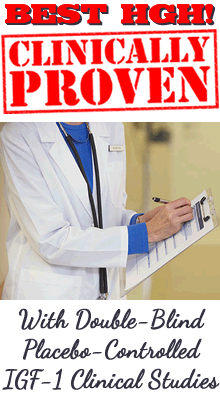 Of course we recommend you consult your private healthcare provider about taking any health products including ours. How long should I take your products? What will happen when I stop your products? You may discontinue the product at any time and you should not see a rebound effect, however, since we cannot stop the aging process, as the effects of the product slowly wear off the benefits may begin to regress. Of course this depends on the person's age; a person in their 30's should retain the benefits better than a person in their 60's. Some of our clients take the product for several months or perhaps a year and when they are doing well they discontinue the product. They begin taking the product again once they feel they need it again. Some may not feel the need to start the product again for a year or more, it just depends on the individual, their age, what benefits they are looking to receive, and how their body responds. What does "Human Growth Hormone 30X" on your bottle mean? This is the homeopathic potency of the human growth hormone in the formula. This is the proper way homeopathic ingredients are potentiated and measured. More about the proper potencies of homeopathic products. How many nanograms of HGH does your products contain? Human growth hormone as is used in the injections is not measured in nanograms (ng), it is measured in IU (international units) or mg (milligrams). Some sellers use what we call the "nanogram scam" to try to mislead customers into thinking their product contains a larger amount of human growth hormone than other products, which is not true. Also, any product that gives the amount of HGH in their product in nanograms is not an FDA registered product because the FDA does not allow the use of milligrams, grams, etc., because it is not the proper form of measurement for homeopathic products. Proper FDA registered homeopathic products like ours will give the amount of each ingredient in potencies such as "X" and "C" (see the previous question). Why does your HGH Plus IGF-1 & IGF-2 product cost more than some others? 1) Our independent double-blind placebo-controlled IGF-1 clinical study results that measured the increase of human growth hormone in patients over a five month period are the best ever obtained with a non-prescription formula, so others claims about being the best are not accurate. In fact, most other products have had no independent clinical studies to prove whether they can increase HGH in the body at all. Our Double-Blind Placebo IGF-1 Clinical Study Results. 2) All products are not the same. Some products contain absolutely no actual homeopathic human growth hormone (Somatropin), which is the only form of HGH contained in any non-prescription product. The pill and powder products don't contain any and some sprays don't contain any either. They are just dietary supplements made up of vitamins, amino acids, and/or herbs. Of course these products cost much less to make. HGH Plus IGF-1 & IGF-2 contains human growth hormone (Somatropin), IGF-1, deer antler velvet, pituitary extract, and liver extract, all of which costs more than amino acids and/or vitamins. 3) HGH Plus IGF-1 & IGF-2 is FDA registered and this involves additional expenses to us. The sellers of dietary supplements and homeopathic products that are not FDA registered do not incur these expenses, and their products are not strictly monitored and regulated for quality and safety as our products are. Also, some products are made outside the United States and/or their ingredients may come from outside the U.S. These products cost less to make. 4) All our ProBLEN products are formulated by the most renown and experienced physician in this field. He developed the first effective sublingual delivery system to deliver hormonals under the tongue to successfully treat the symptoms of aging. He developed the first sublingual human growth hormone spray to be used independently in anti-aging clinics. He was the first to combine homeopathic hormones with organotherapy to also provide support for the body's organs which must be maintained in order to ward off the effects of aging. He has expanded the practice of homeopathy itself through neohomeopathy, which is a new, advanced and more comprehensive form of homeopathic medicine. 5) The way a product is actually made also plays a role in determining its cost and effectiveness. All spray products must be homeopathic in order to be effective because the proper homeopathic process is needed to activate and potentiate the growth hormone and other ingredients. There is a proper way to make homeopathics and a money saving way to make them. Obviously the products that are made using proper HPUS homeopathic principles and that contain only top quality U.S. pharmaceutical grade ingredients will be more effective and cost more to make than the products made with cheap ingredients and those that are made while cutting manufacturing corners to save money. Here is a testimonial from one of our clients who tried several other products. He states he had to take 3 times the recommended dose of another product just to receive some benefits, and the benefits he received still couldn't compare to the benefits he had received with our product. When comparing product prices be sure to also compare ingredients to see just what it is you are paying for. Then you should understand why our product may cost a little more than some. There is one particular very advertised spray product where their home page claims that the product contains homeopathic human growth hormone but if you look at the actual list of ingredients on their bottle you will see it does not contain any HGH. Of course they are able to sell their product for less. Some other sites claim that sprays do not work, is this true? No, this is absolutely not true, those sites are just wanting you to buy their pill product instead. High quality human growth hormone spray products have always been the most effective and popular non-injection human growth hormone therapy. Some sprays such as ours have been clinically tested with proper independent randomized double-blind placebo IGF-1 clinical studies. Learn more about HGH sprays and how they work. Homeopathic HGH sprays are the smart choice! Our source for these important glandulars is USDA tested and safe North American bovine. The North American bovine is harvested, tested, freeze dried, and quarantined. Once it is in the product it is re-tested to ensure there are no contaminants. Are your HGH products appropriate for bodybuilders and athletes? We have numerous clients who take our HGH Plus IGF-1 & IGF-2 product for bodybuilding and athletics. Information about the bodybuilding benefits of HGH Plus IGF-1 & IGF-2. Those in their 20's and younger should consult their private doctor before taking any hormone product. Some say the alcohol in sprays kills the HGH, is this true? The vegetable base (organic vegetable alcohol and purified water) in our homeopathic spray does not kill the HGH or make the product ineffective. Alcohol is an important part of the homeopathic process, it holds the frequency of the substance stable, maximizes efficacy, allows for quicker absorption, and helps prevent contamination. Obviously, if the alcohol in our products caused them to be ineffective our clinical study results measuring the increases in patient's human growth hormone levels would not be the most successful ever obtained with a non-prescription product, which they are! More about alcohol in sprays. What about the "polymer matrix" delivery systems some claim to use? Delivery systems are important and we use the absolute best. In fact, our physician developed the first delivery system to deliver homeopathic hormonals successfully under the tongue. No other company has a better delivery system than ours, however, because we have clinical studies proving that our formulas are delivered successfully into the body we don't need to focus on our delivery system as a way of persuading customers to take our product. Some try to mislead customers by claiming their polymer matrix delivery system is best. Click for more about delivery system claims and petroleum base solutions. Autoships may be canceled by logging into your account or by filling out our secure Contact Us email form or by calling us at 866-269-4069 or 818-902-0685. If canceling by email make sure you receive an email confirmation from us, so you know your message was received and your Autoship was canceled.